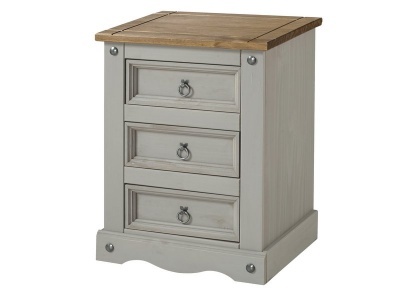 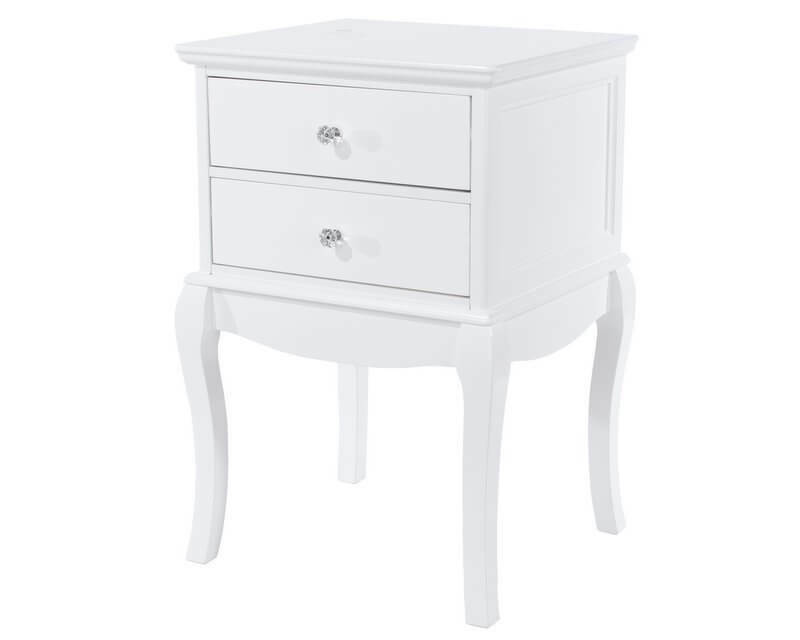 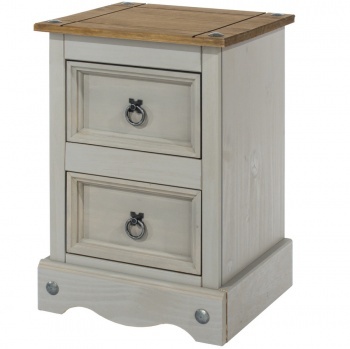 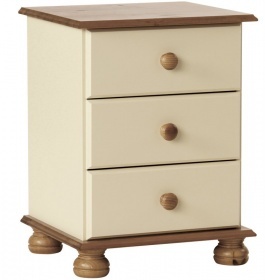 With two drawers this bedside creates a home for all your night time accessories. 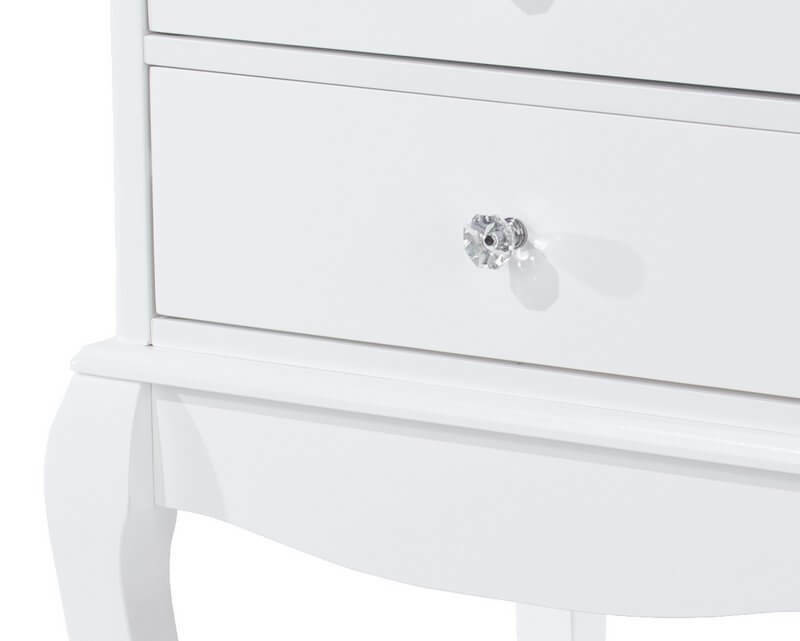 Fluted legs and crystal effect handles add a romantic french feel to the piece. 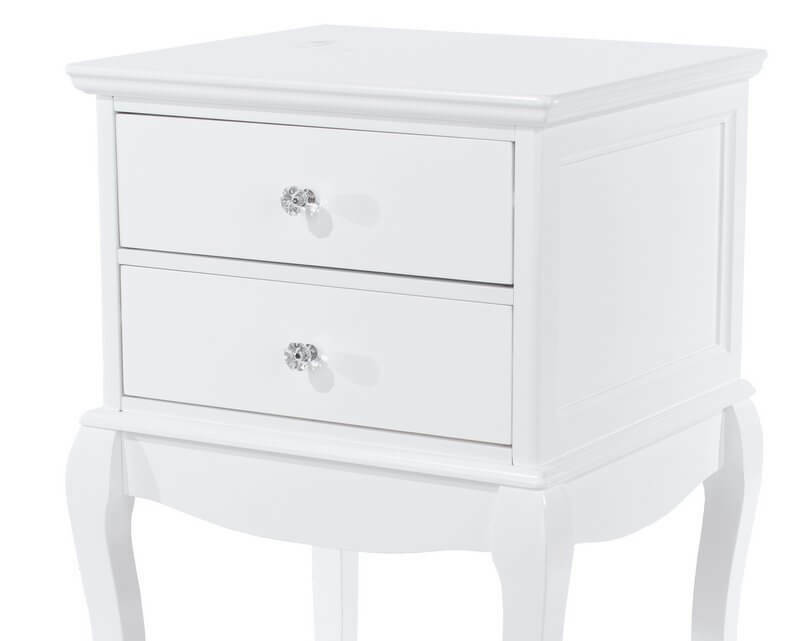 All white finish works with any interior colour scheme.